This pendant light features a clean design with metalwork finished in oil rubbed bronze and a light amber glass shade. The hammered glass series exudes a textural, graceful silhouette. The Insulator Glass Collection Was Inspired By The Glass Relics That Adorned The Top Of Telegraph Lines At The Turn Of The 20Th Century. Acting As The Centerpiece Of This Series Is The Recognizable Shape Of The Glass Insulator, Made From Thick Clear Glass That Is Complimented By Solid Cast Hardware Designed With An Industrial Aesthetic. Finishes Include Polished Chrome, Oiled Bronze, And Weathered Zinc. This collection offers scalloped glass accentuated with finely crafted stepped details on the metalwork. Choose between mercury glass with metal finished in oiled bronze or clear glass with metal finished in polished chrome. 1 Light Pendant In Oil Rubbed Bronze This pendant light features a clean design with metalwork finished in oil rubbed bronze and a light amber glass shade. 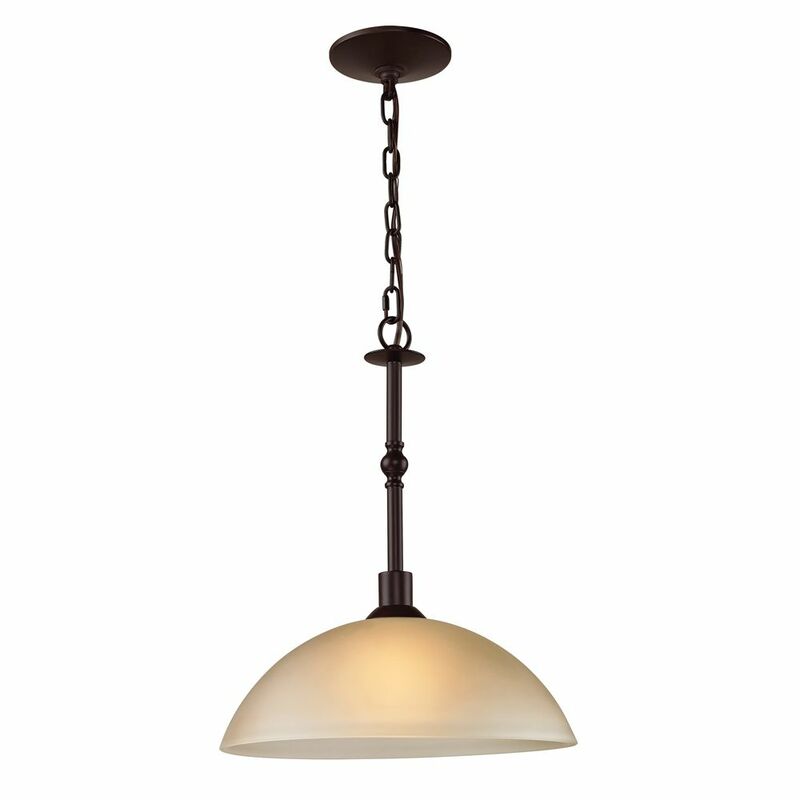 1 Light Pendant In Oil Rubbed Bronze is rated 5.0 out of 5 by 1. Rated 5 out of 5 by Mother55 from Looks just like the picture. I am happy with the lamp. It looks great in my dining room, but I didn't pay attention to how much light I would be able to get from it. I would have chosen a light fixture that gave more light if I had to do it over again, but otherwise it is a perfectly lovely lamp. Just don't expect to be able to do embroidery or anything detailed. It is not capable of giving off enough light.